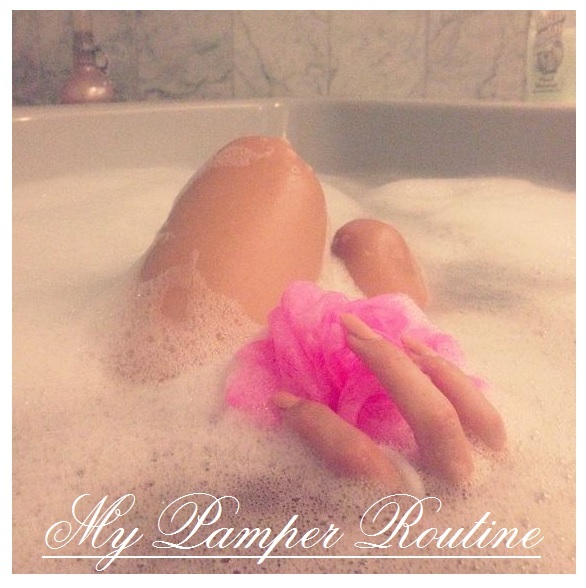 I haven't done an updated pamper routine in ages so I thought since the colder nights are going to start coming in soon I would show you all my updated pamper routine for a typical Monday night pamper. First thing I like to do on a pamper night is have a yummy meal. I like to make sure that I am full-up so that I won't wan to snack during the evening. My meal for this evening was vegetarian red pepper and red onion curry with boiled rice. I'm usually finished with my meal by around 6pm, and 6pm on a Monday night only meals one thing - The Girl Gang Chat! If you don't know already, The Girl Gang is a blogger community set up by the incredible Jemma/Dork Face Blog, to bring bloggers together to spread a little bit of love and positivity. Taking part in bloggers chats is one of my favourite things to do, check out my "Twitter Chats" page to see my massive list of twitter chats which go on daily. Once the chat is over I like to run a bubble bath and light some candles. I love Yankee Candles* for the ultimate relaxation, although the Primark Candles* are so amazing too and such good value for money! I love having bubble baths too and having my bath smelling and looking beautiful, so this week I have used the Lush Brightside Bubble Bar* and the Lush Fizzbanger Bath Bomb*. Whilst the bath is filling up, I brush my hair through to get all the nots out an tie my hair up in a top-not as I never usually wash my hair on a Monday because it's usually done on a Sunday so I don't want to over wash it. Next, I take my makeup off, I've been using The Body Shop Camomile Waterproof Eye and Lip Makeup Remover* for a little while now and I've been loving it! Once my make up is removed, I cleanse my face using Garnier Skin Naturals Micellar Cleansing Water* and then put on a face mask. I love The Body Shop's Seaweed Oil-Balancing Clay Mask* for this - I've raved about it so much on social media so you probably know that already! It's also been mentioned in my June Favourites blog posts this year. Whilst the face mask is setting, I get in the bath and use a body scrub. I've been using the Rituals Fortune Body Scrub* recently and wow does this stuff smell amazing - if you haven't tried it already I really recommend doing so! By this time the The Body Shop's Seaweed Oil-Balancing Clay Mask* for is usually ready to come off so I take it off with a wet face cloth and exfoliate my face with the Garnier Skin Naturals Fresh Radiance Boosting 'Wake Me Up' Scrub*. I love using this stuff as it really does get into my pores and makes my skin feel amazing! For some extra face care I then use my Green People Organic Lifestyle Foaming Face Wash* - which is such an amazing product. It foams up in your hands, apply it to the face and neck and then wash it off with a wet face cloth and within minutes you can feel the difference! Once my face is all done I move back to my body and wash my body with one of my Dove Body Washes and then shave using my Wilkinson Sword Hydro Silk Razor* - I really think this is the best razor out there at the moment. I mentioned it in my March Favourites blog post of this year too. Once I am all clean, I get out of the bath, get dry and put on some comfortable PJs. 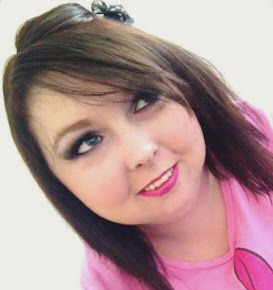 Most of my PJs are from either George at Asda or Primark - I love these stores fo PJs! By this time I will have a cup of tea and apply an over night face mask and paint my nails. I absolutely adore The Body Shop Sink In Moisture Sleeping Mask*, it smells amazing and is so beautiful on the skin. I've mentioned it before on my blog on my May Favourites blog post so you may remember it from that. Also it doesn't make your pillow sticky or smell weird too which is a bonus as I find most over-night face masks to that. For nails, I used the Ciate Corrupted Neon Manicure* - this has some bright and beautiful pink shades in it and as pink is my favourite colour of course I'm going to use this! I then go into my bedroom and snuggle down in bed to read and comment on some blogs, whilst drinking a yummy hot chocolate. I LOVE HOT CHOCOLATE. My favourite ones are the Options Belgium Hot Chocolate and Options Mint Hot Chocolate - so so good! If you missed my DIY blog post earlier this week on how to make Nutella Hot Chocolate then don't forget to go read how simple and easy that is! Once I have finished with my hot chocolate, I pop out of bed to brush my teeth and apply a small amount of the Nivea Lip Balm so my lips are nice and soft in the morning. When I'm done in the bathroom I will come back to bed and put a Michael Sealey Sleep Meditation on my mobile from YouTube and fall asleep listening to it. That's pretty much my whole pamper routine for a Monday night, I hope you all enjoyed ready it. If you'd like a blog post reviewing any of the products mentioned then please let me know. a complete set of six Art Naturals Bath Bombs! CLICK HERE to enter. T&C apply.